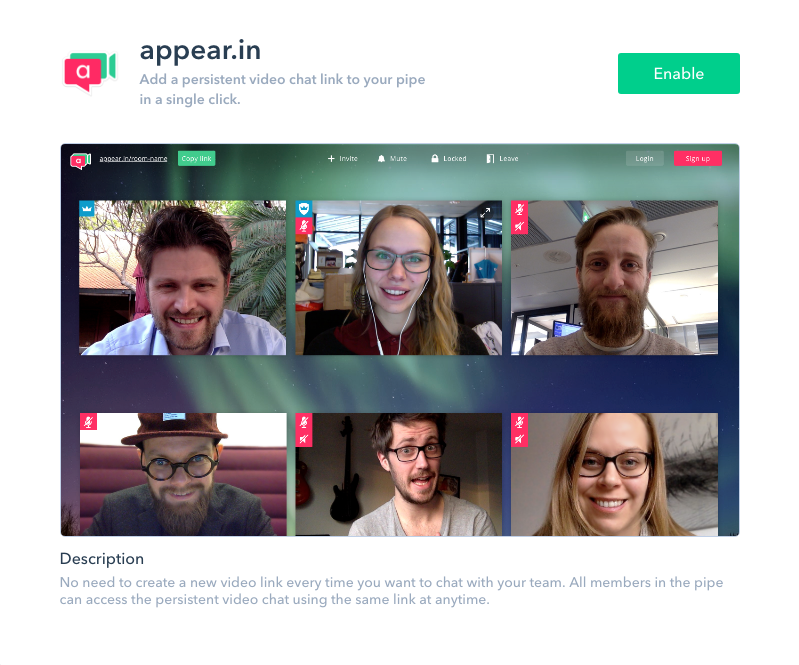 appear.in is a useful online tool that allows you to easily create video-chat room links and share them with your team. 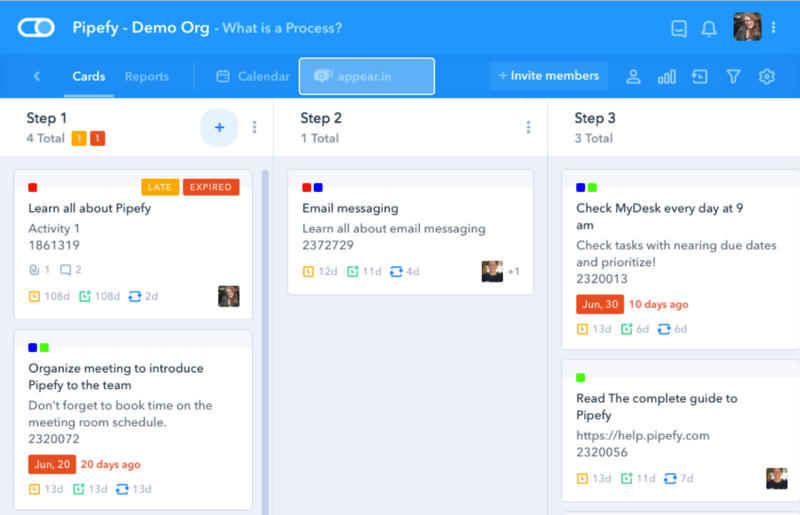 By enabling Pipefy's appear.in pipe app you will no longer need to create a video link every time you want to chat with your team: all pipe members will be able to easily access a persistent video chat using the same URL, anytime they need to. Whenever you click on it you'll be redirected to the same video chat room in appear.in.